Designed for children ages 4-7, these concerts are a great first-exposure opportunity for the whole family. Lollipop Concerts feature the full orchestra, and are often joined by dancers, actors, and singers. 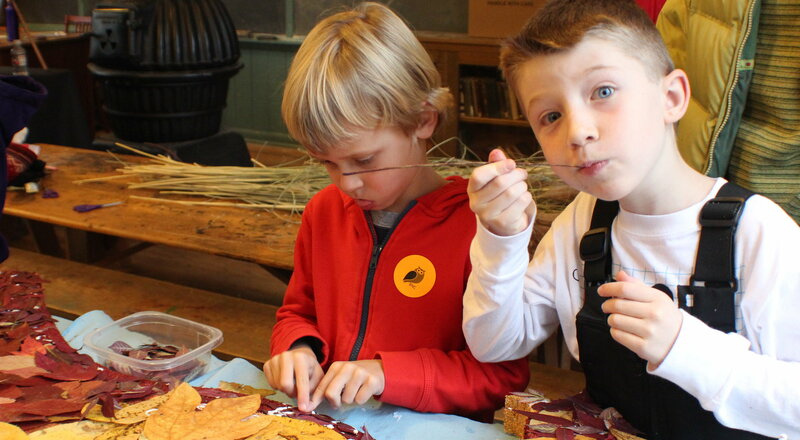 *Weekday performances for school groups are listed under the Teacher & School Groups page. A concert series so fun, the whole family will want in on the action! The one-hour Family Concerts will thrill the whole family! Join us for the pre-concert activities in the lobby including an Instrument Petting Zoo, craft activity and more. No need for a sitter. Bring the kids with you! 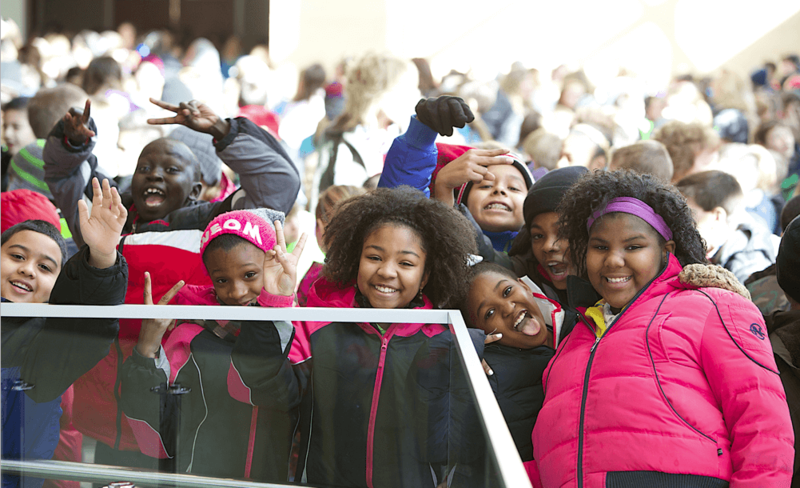 With the Grand Rapids Symphony's Free for Kids program, students through High School are able to attend select GR Symphony concerts for free wit hthe purchase of a regular price adult ticket. Available to full-time students of any age--Kindergarten through college, the Student Tickets program is available for most GR Symphony concerts. 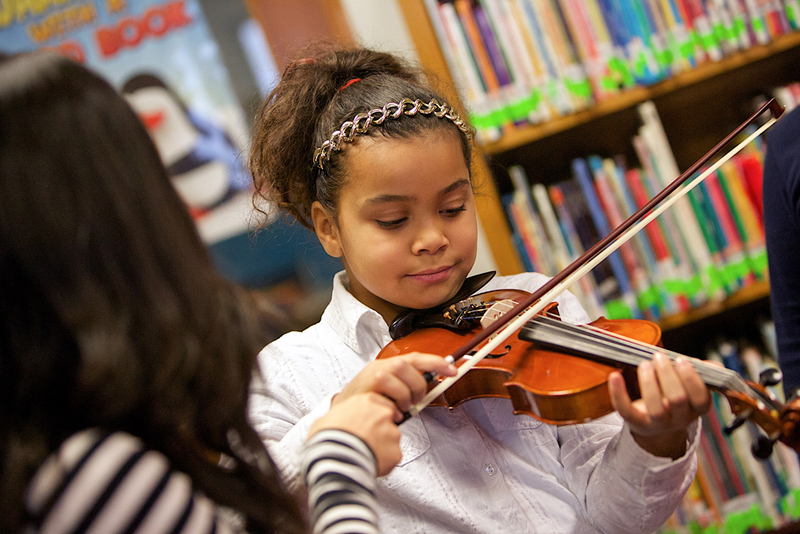 Mosaic Scholarship provide talented African-American and Latinx students with the opportunity to develop their musical skills and to immerse them in the world of classical music. Check out the Mosaic Scholarship page for more information. Advanced middle school and high school instrumental students from all across west Michigan come together to perform orchestral repetoire that will both excite and challenge them in the Grand Rapids Youth Symphony and Classical Orchestra. Under the direction of GR Symphony Associate Conductor John Varineau, these ensembles have been a staple of the Grand Rapids musical community for generations. Young singers ages 6-18, let by Sean Ivory, and Jackie Sonderfan Schoon, come together to form one of the newest and most respected youth choruses in the area. Additionally, the Grand Rapids Symphony Youth Choruses are often featured on GR Symphony concerts during the year.